This amazing natural gold nugget crystal is from Zapata, just outside of Ikabaru, near Santa Elena de Uairen in the jungles of Venezuela. It has a gorgeous shape with fluting along the length of the crystals. It is extremely rare to find such unique nuggets as this one. 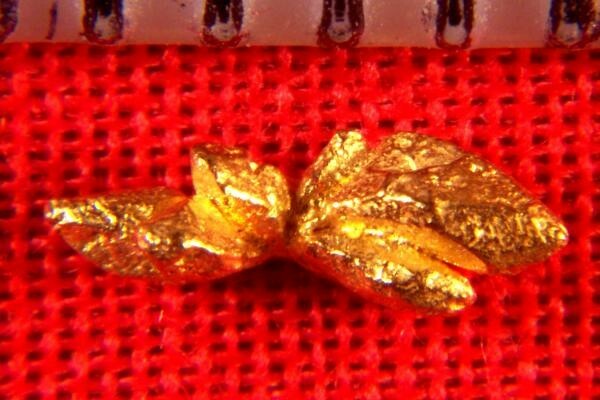 This amazing gold specimen is 1/4" (7 mm) long and it weighs in at 2.8 Grains (0.18 Grams). 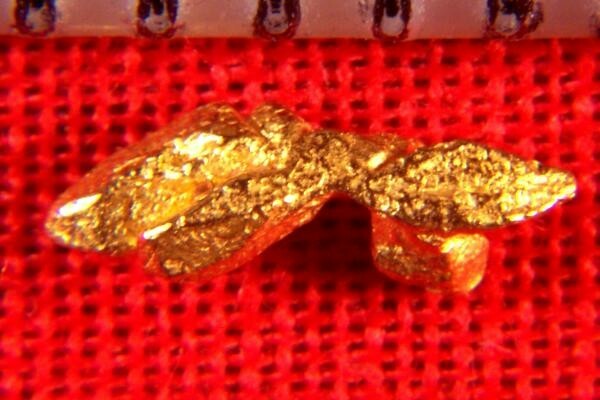 It is a real beautiful gold specimen and would look great in your collection.